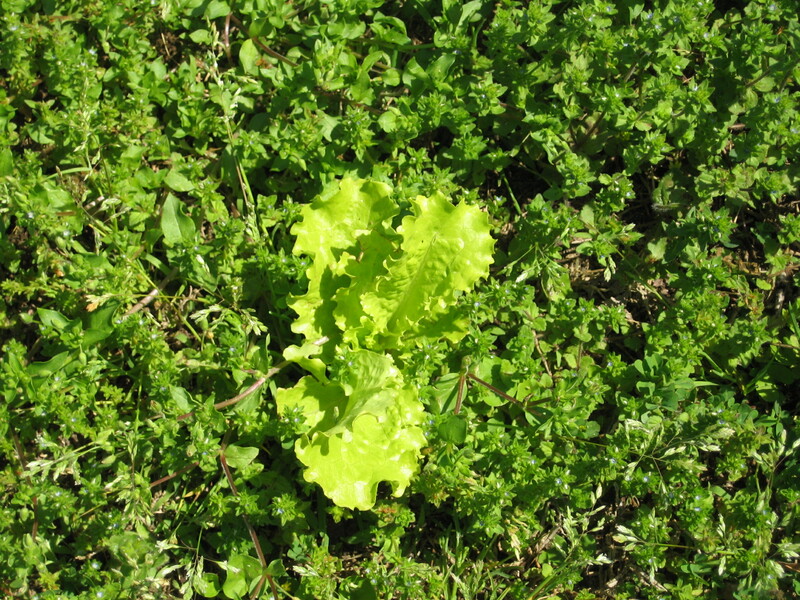 Green: A lettuce plant volunteers to arrive in the middle of the lawn. Later, it gets eaten. Depression is like this sometimes. All gray. 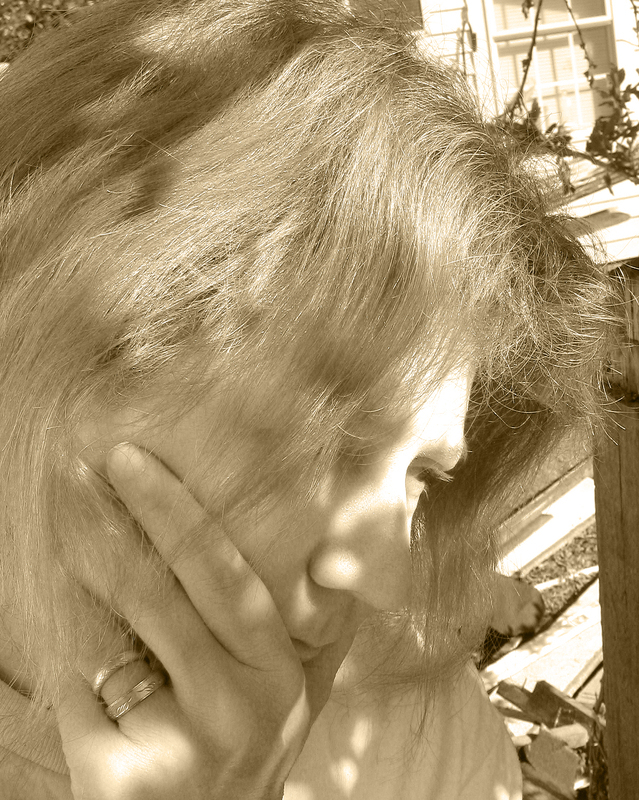 No color. No smiles. No laughs.